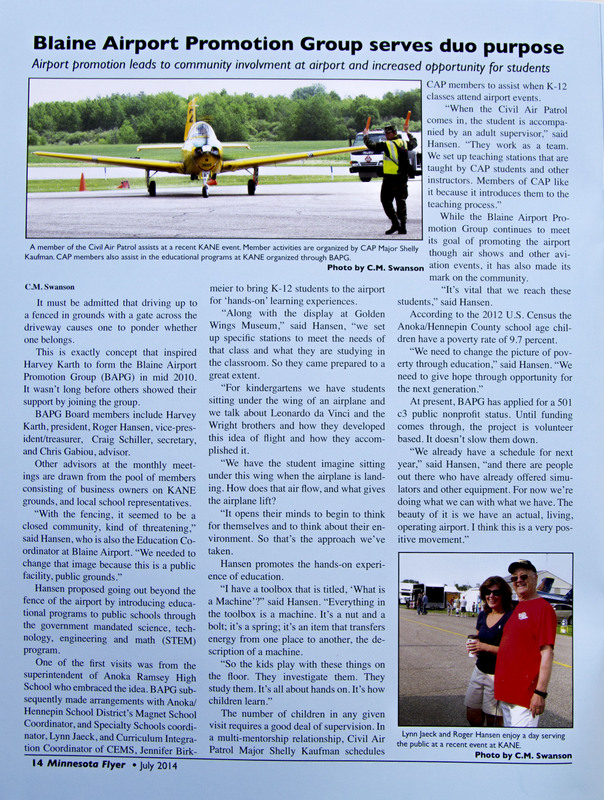 This Page is dedicated to past news stories related to individuals, businesses and activities at the Blaine airport. Follow the links to view the stories. If you know of a news story related to the airport, please contact us by EMAIL and send us the link for posting on this page. 10/15/15 - MN Flyer - BAPG Group "Part 1"
10/15/15 - MN Flyer - BAPG Group "Part 2"
3/28/12 - Star Tribune - Keeping alive the "Golden Age..."
6/30/09 - Star Tribune - Clipped wings for A.W.A.M.